dr. seuss | six words to change the world. my my, dr. seuss is 105! The Great Birthday Bird! And, so far as I know, Katroo is the only place Birthday Birds grow. This bird has a brain, he’s most beautifully brained with the brainiest bird-brain that’s ever been trained. He was trained by the most splendid Club in this nation, the Katroo Happy Birthday Asso-see-eye-ation. And, whether your name is Pete, Polly or Paul, when your birthday comes round, he’s in charge of it all. So now you know! Seuss-style rhetoric is the best. You can read more Seuss quotes here. Even though I get older, his books never get old. Oh, and check Google. Their page is really cute today. Oh, and if you want to be RESPECTABLE and not use Dr Seuss’ birthday as an excuse to drink but still want to celebrate, you should, at the very least, make yourself some green eggs and ham. 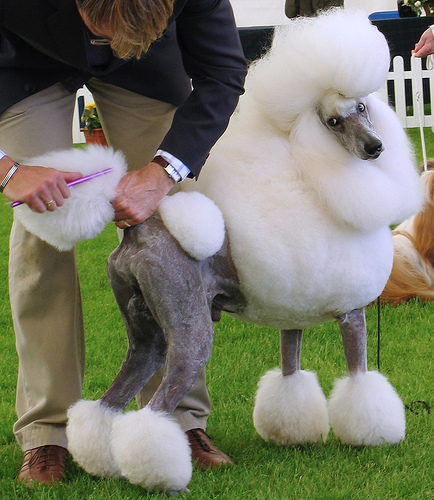 americans elect poodle to white house. Well, not exactly. But even if they did, a poodle would have more experience than Sarah Palin. SNAP. Yeah, you want one too. PUT BARACK OBAMA AND A CHINESE CRESTED IN THE WHITE HOUSE. Oh, and they didn’t hold an election for a pet for old Johnny. This is because he and Cindy already have–I am not making this up–24 pets. So that’s 3.4285714 pets per house? 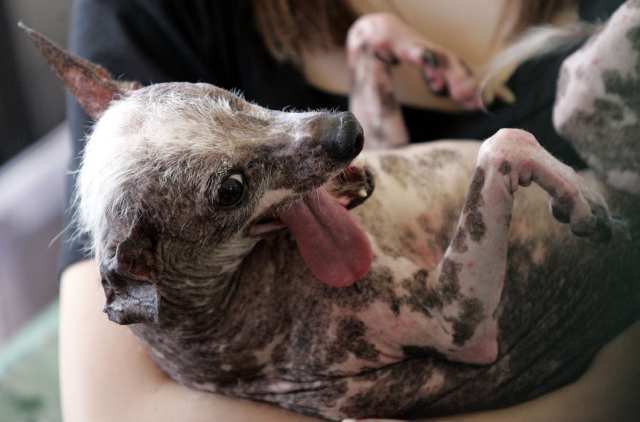 Gus, a Chinese Crested Hairless, won the illustrious and much coveted title of World’s Ugliest Dog on Sunday in Florida. He has three legs, one eye, and one hell of a personality. He apparently slept through most of the competition. And I’m freaking out. Why? 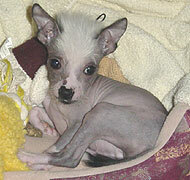 Because I have a Chinese Crested Hairless dog. My beautiful boy, Dr. Seuss (because he looks like a Dr. Seuss book character, duh), is amazing. And not ugly! I swear! 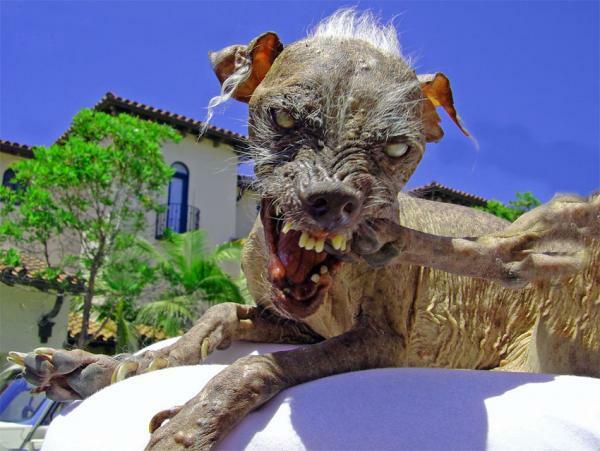 But ugly is what people think of when they know the breed. Most of the recent past winners of the competition have all been at least part Chinese Crested. So sure, Gus and Dr. Seuss might not be the picturesque puppies you see in the Purina commercials. I cannot tell you how many times people have asked me if Seuss was on chemo. Chinese Cresteds’ conventional beauty is on the inside-just like many humans. Maybe it’s just me, but instead of mocking their lack of soft and fluffy, we should be taking a minute to acknowledge how unique they are and appreciate the fact that they make us laugh. Haha, okay, that might just be me. Anyway, I just wanted to post the link to the slide show of the competitors this year so that you could have a good laugh. (I laughed out loud a lot.) It was a tough year! My favorite is Squiggy. He looks badass. Also, here is Sam, a three-time champion of the competition. If he hadn’t died, I’m sure he’d still be the champion. I’m obviously sensitive about the way people treat the breed, but I can say that this is legitimately the ugliest dog ever.